A Quiet Place, the latest Hollywood horror film, displays a uniquely riveting plot and beautiful cinematography. The movie stars real-life married couple John Krasinski and Emily Blunt, as well as Millicent Simmonds and Noah Jupe. 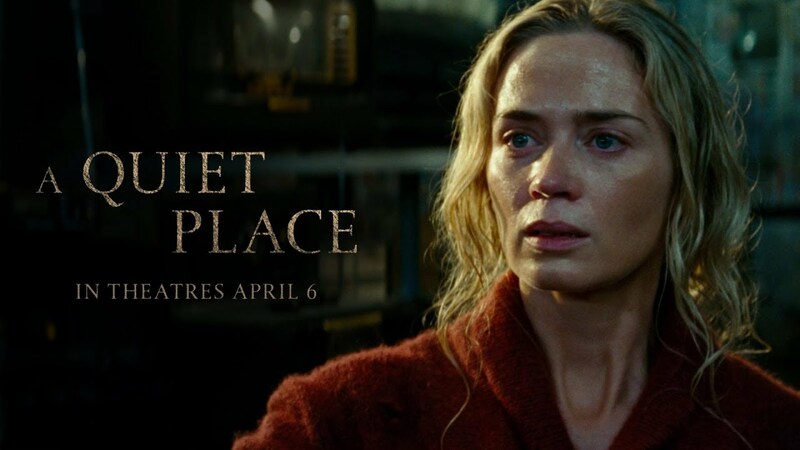 A Quiet Place follows the Abbott family as they try to live in total silence and hide in a post-apocalyptic world overtaken by creatures with impeccable hearing and brutally homicidal tendencies. The premise itself is not terribly impressive until you see its execution. The film contains long, careful shots of natural and abandoned urban scenery with purely ambient sounds. There is often no music at all. Breezy, creaky ghost towns and bridges are filmed alongside rich green forests, rushing rivers, and waterfalls, with the lonely chirp of birds here and there. It is both haunting and soothing, which pulls audiences in opposite directions. More impressively, hardly any speaking occurs throughout the movie. The Abbotts communicate almost completely through sign language. When Krasinski and Blunt, or rather, Lee and Evelyn Abbott, have their first out-loud conversation about halfway through the movie, the effect is jarring. In fact, deaf daughter Regan Abbott is played by Simmonds, who is also deaf. Krasinski was heavily encouraged to cast Simmonds for her talent and her suitedness to the film. In an interview with Gregory Wakeman, Simmonds talks about the set of A Quiet Place being welcoming and respectful, treating her like any actor. She also found its filming very refreshing since it contains so many scenes with sign language, many of which do not involve her. A Quiet Place, on top of being a good movie in general, makes for an excellent horror film. Despite there being little sound, the film does not rely exclusively on jump-scares and sudden explosions of sound to frighten audiences. Rather, it uses silence to create a lasting, maddening tension, one that stays in your gut and makes you squirm in your seat for something to happen. The film also manages to be true to the brutality of its created world without the need for any gore. It uses minimal amounts of blood, instead conveying horror in more emotional ways. However, unlike most horror movies with small casts, A Quiet Place is not afraid to kill off some characters. Like any movie, A Quiet Place does have some issues. For one, I would say the film did not show nearly enough of the relationship between father, Lee, and daughter, Regan. This relationship is one of the bigger tensions, but we see very few scenes that contribute to it. Lee and Regan are hardly ever together on their own, and they speak very little in both the beginning and the end. Furthermore, the film ignores a fundamental rule of acoustics, that sounds which are closer will appear louder. The Abbotts get away with many sounds as they stand right in front of the creatures that should have gotten them killed. These creatures can hear the human voice from miles away–why can they not hear footsteps from a couple of feet away? Despite these flaws, A Quiet Place still manages to offer an emotionally charged, beautifully filmed, brutally executed experience to its audiences. It is a horror movie where we care about the characters, which, as any horror junkie will know, is a very rare occurrence.